He who would understand the Plains must ascend the Eternal Hills, where a man’s eyes scan Infinity. He who would make use of understanding must descend on the Plains where Past and Future meet, and men have need of him. 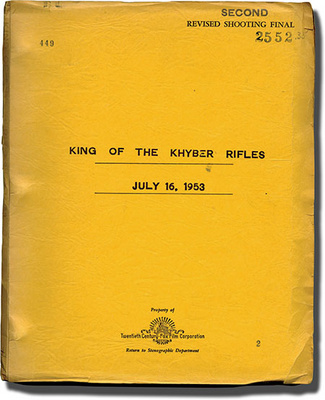 The current tensions and armed violence on both sides of the Afghanistan-Pakistan frontier and the Khyber Pass which links the two countries brings to mind the theosophical novel King of the Khyber Rifles (1916) written by Talbot Mundy, who birth anniversary we note on 23 April. Talbot Mundy (1879-1940) was born in England as William Lancaster Gibbon but used the name Talbot Mundy when he started to be published in 1911. Probably, he also wanted to put his English past behind him as he became highly critical of British colonial policy, though he remained influence by the example and the writing style of Edward Bulwer-Lytton who tried to use the popular novel such as Zanoni (1842) as a way of shaping mass public opinion. In Zanoi, Zanoni is an immortal sage and member of a secret brotherhood dedicated to helping humanity and holding esoteric knowledge. Bulwer-Lytton was an early advocate of feminism with the idea that women are more spiritually advanced than men, a theme that Talbot Mundy develops in his books. Talbot Mundy left home when he was 16 to go to India, then Africa, the Middle East, and finally settled in the USA. He took a different wife in each geographic area, perhaps as a way to understand better the culture. The women characters in his novels are all a doorway to deeper understanding of spiritual insights and as keepers of the best of the specific culture. He went to India first in 1899 as a relief worker in Baroda and then in 1901 to report for newspapers on the fighting on the northwest frontier, which served as background for King of the Khyber Rifles. He met his first wife, an Englishwoman living in India and married in 1903. He developed a dislike for English colonial life in India with its contempt for Indian culture. He absorbed the Indian myths of spiritual masters and secret societies that were positive agents of world events — themes that he developed especially in his The Nine Unknown (1924) — a secret society founded by the Emperor Asoka around 270 BCE and which continued to the present, helping social and political reforms but secluded from open view. It is a theme developed later in Black Light and for short stories which he wrote in the USA for Adventure, a magazine of popular fiction. Influenced by the example of Richard Burton (1821-1890) who combined experiences in India and Africa along with an interest in sexual practices — Burton having translated and introduced to Western readers the Kama Sutra, Talbot Mundy left India for Africa, where he met the woman who became his second wife. Africa played a lesser role in his novels but served as background for many of his short stories. After his short stay in Africa, he moved to the USA, where he divorced again and married his third wife, who was a member of a religious movement with its roots in New England, Christian Science. From his Christian Science wife, he absorbed the idea of the power of positive thinking which fitted in with the thought power of Indian yogis. Talbot Mundy became President of the Christian-Science-related Anglo-American Society Relief Effort for Palestine, a society that was focused on aid for the Armenians who had fled what had become Turkey and were now living in the Middle East, especially Lebanon and Palestine. In 1921, Mundy left the US to continue to work on Middle East causes, both to help administer the relief efforts and to write for the Jerusalem News. By 1922, he had again divorced and married his fourth wife, Sally, who had also been doing relief work in the Middle East. Mundy, who was already critical of British colonial policy in India, quickly came to dislike British policy in the Middle East. He wrote a series of novels and short stories with Jim Grim, an English intelligence agent, as hero and as an avenue for Mundy’s cynical views on English policy-making. By 1924, he had moved back to the USA where he lived in San Diego, California at the Point Loma Theosophical Movement headquarters. There he wrote his best theosophical novel, Om, the Secret of Abbor Valley. For five years he was the editor of The Theosophical Path, and worked closely with Katherine Tingley (1847-1929), the head of the Point Loma movement. In 1929, he left Point Loma for New York City, where he took rooms at the Masters Building on Riverside Drive which had been created by Nicholas Roerich as a center for interaction among all the arts — music, painting, dance — . Mundy used some of Nicholas Roerich’s experiences in Asia, especially Tibet, and Roerich’s interest in Shambhala, a hidden city from which spiritual masters would send messengers to influence positively world events. Much of the Shambhala myth is used in Mundy’s King of the World. In New York, Mundy was active in theosophical and astrological circles, though none of his New York writings matched the power of Om, which merits being discovered by those who have not read it. 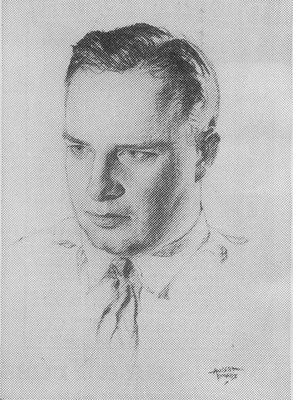 For his bread and butter, Mundy wrote the radio scripts for the popular youth radio program “Jack Armstrong: the All-American Boy” which continued until the late 1940s-early 1950s.Jack Armstong was the adventure side of Talbot Mundy without the spiritual dimension or the political critique.